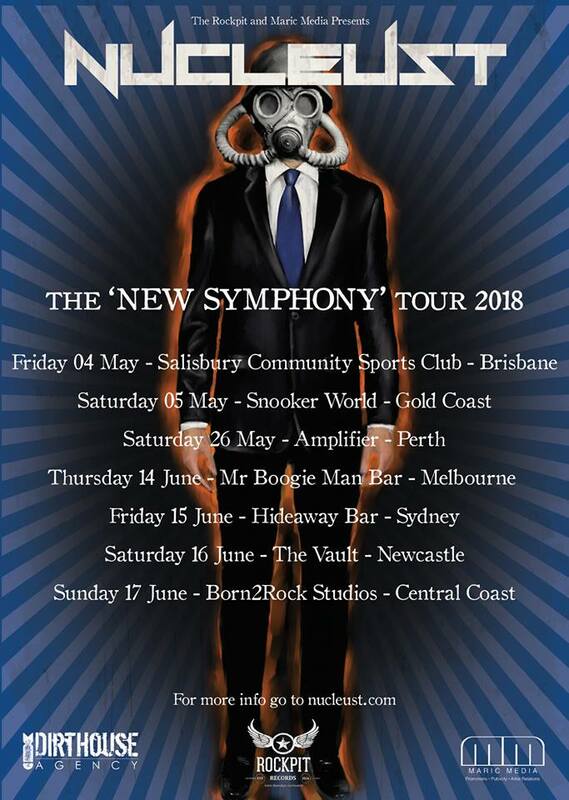 Perth progressive metal act Nucleust are set to continue their New Symphony tour with a string of east coast Australia shows starting this Thursday in Melbourne. On top of their already completed Queensland shows including the Metal United World Wide festival in May plus their hometown show alongside Deadspace, the Perth heavy hitters are heading back to Victoria and New South Wales for an additional 4 shows including Melbourne, Sydney, Newcastle and Central Coast. Just announced on Friday is the new travelling festival, Shredfest which sees the local festival which started in Brisbane expand out to Sydney, Adelaide and Melbourne. 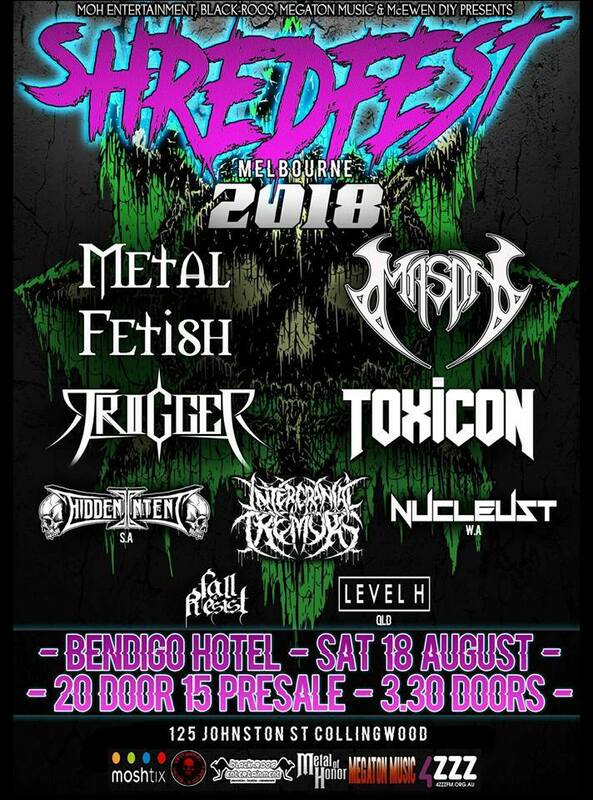 Nucleust have been announced for the Melbourne leg on August 18th at the Bendigo Hotel alongside Mason, Toxicon and Hidden Intent. Nucleust are currently touring in support of their latest single ‘The Symphony Of Revenge‘ which was released earlier this year. The single also signifies a change in the lineup with new drummer Giuliano Macri who replaced former drummer Shay Smith after his departure in February. Nucleust released their debut full length album, Terra Cerebral in July 2017 via Rockpit Records, through Firestarter Distribution, they toured it nationally to ever increasing crowds and most recently supported UK tech masters Haken and rounded the year off in Europe supporting Six Feet Under over ten shows across the continent. Nucleust first formed in 2013 and have since released 2 EP’s and a full length album. During that time the band have successfully scored opening slots with bands such as Soilwork, Lacuna Coil, Twelve Foot Ninja and Haken and have shared the stage with other great bands including Voyager, Chaos Divine, Truth Corroded, Toxicon and more. Extensive touring has also included national tours across Australia as well as internationally including Indonesia and most recently supporting Six Feet Under in Europe.